Festive, fun and...surprise! These Christmas cards are actually save the dates. 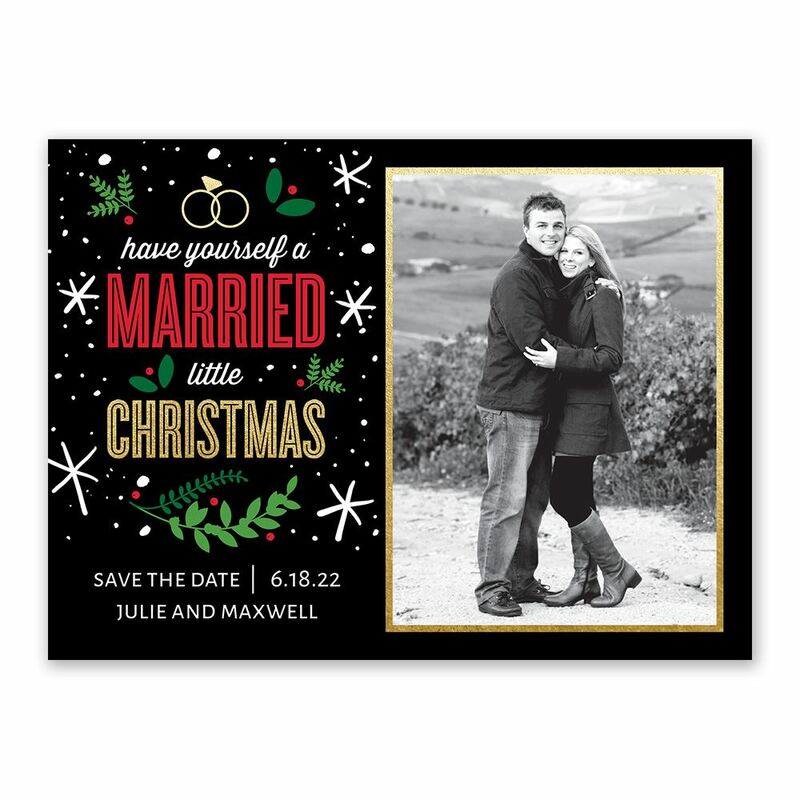 The "have yourself a married little Christmas" design coordinates beautifully with the faux gold foil frame around your choice of photo. Personalization Options: Design is printed only as shown. Your details are printed in white in your choice of fonts.